Alaska is referred to as America’s last frontier and in summer, thousands of motorcyclists flock there to experience the spectacular scenery and the endless miles of winding roads. Although, most of the bikes heading up there are touring, cruising and enduro bikes. 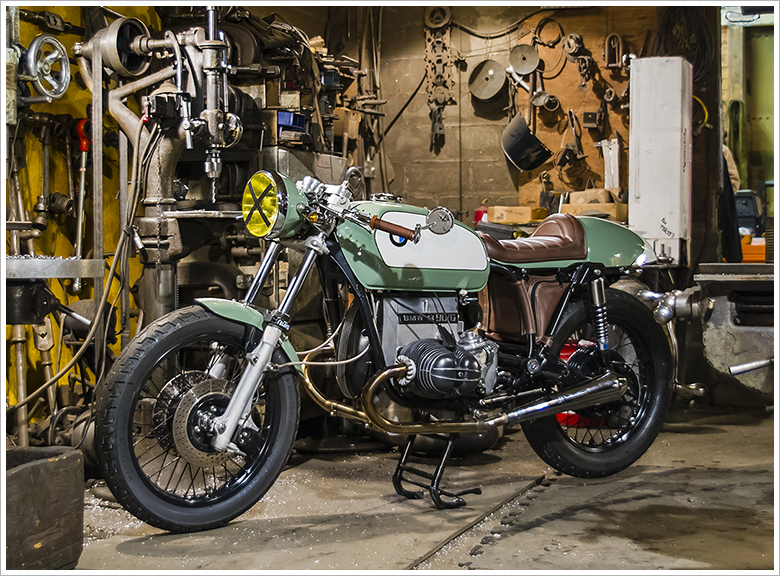 It now looks like the café racer scene is starting to take off – one bike at a time. Alaskan local Erik Christensen and his friends have started the Northern Café Racers. “Our café posse is four deep” says Erik. “We are just a few guys with everyday lives, building café bikes in our garages in anticipation of the incredible Alaskan riding season.” This stunning BMW R90/6 isn’t just the first bike we have featured from Alaska, but it might just be the first café racer built in Alaska.